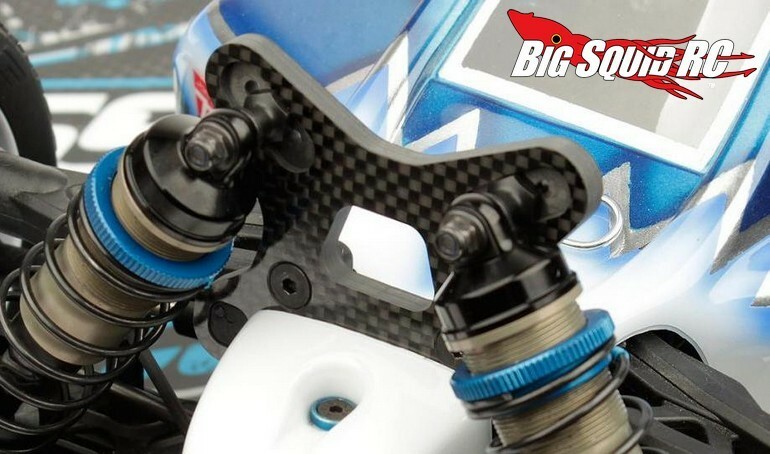 Associated RC8B3 Factory Team Front Shock Tower « Big Squid RC – RC Car and Truck News, Reviews, Videos, and More! Just announced by Team Associated is the RC8B3 Factory Team Front Shock Tower. The tower fits both the RC8B3 nitro buggy and its RC8B3e electric powered sibling. Thick carbon fiber is used to make it light yet strong and it sports a price of $38. The front tower has a part number of #81028, they are shipping right now, and full details can be found over on Associated’s Official Website. Hit This Link for more Team Associated news on BigSquidRC.